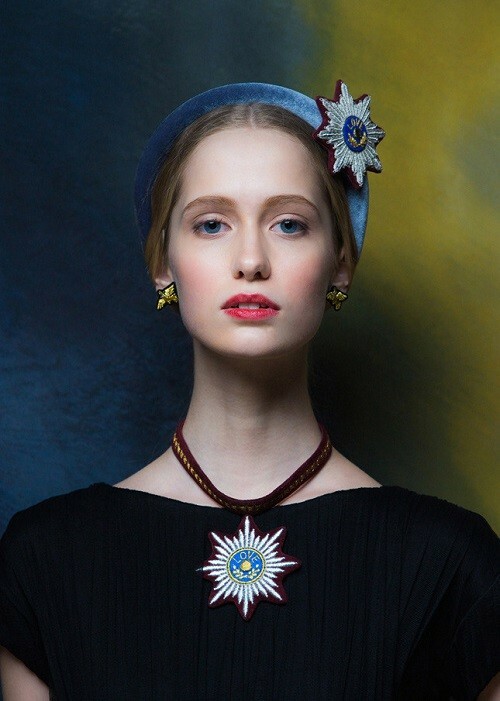 Journalist by education, Evgenia Linovich has always been inspired by traditional craftsmanship and all forms of art. She was creating photographs, furniture, dresses and costume jewellery. Jewellery making started off as a hobby, but then turned into a career. In 2012, she created Masterpeace jewellery and accessories brand. The Masterpeace collection is an avant-garde reinvention of its nation’s noble heritage. Earrings-Orders look shocking, but not more than jewelry with bones and skulls. 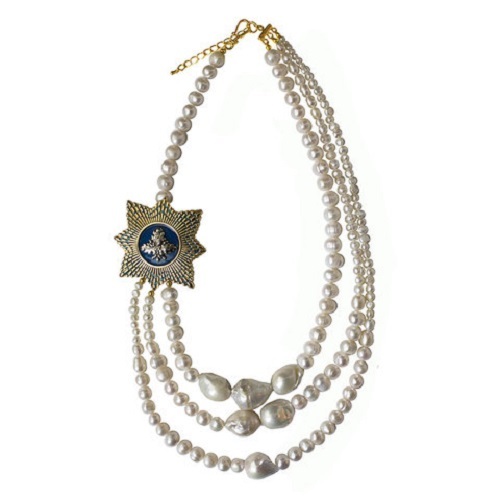 Pearls in the form of sash – not a shock, but rather regret of not completed ideas. 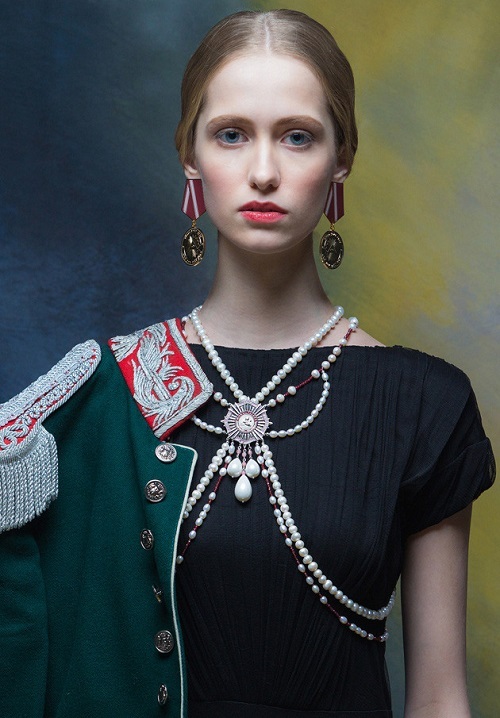 For the creating this stunning collection were used precious and semi-precious stones, lapis lazuli, malachite, amber and pearls, mink fur – luxury of XVIII-XIX centuries. During the creation of a collection was studied literature on heraldy, orders and medals, watched all film productions of “War and Peace”, on which worked talented costume designers.